So what exactly is Safaricom Academy and why am I enrolled. Well for me the journey began around 2011, that was when Safaricom academy was started if am not wrong. They uploaded the course modules online and I fell in love with the units immediately I mean It wasn’t like the boring math I was used to at JKUAT or the flimsy excuse for CS either. This was content I was yearning for. I knew then that this is what i would do after Undergrad. You can see the course content here>> Well I malizad Campo around 2012 May, but by then I was already knee high into Software Development. I had started working with the Late Idd Salim and as you all may know he was the code lord. He taught me a most of the things in the course content and in less than a year I had already done several vertically scalable projects in USSD,SMS,Android,J2ME,Symbian,web etc. So I missed the 2012 and 2013 intake. so when the 2014 intake was announced I was balls in. Strathmore has a rigorous recruitment for this course,well first you have to apply obviously, then they do shortlisting and after that they send emails for people to avail themselves for Practical Interviews. The Pracs are primarily code sessions with a little bit of math,English and general logic (Psychometric if you will). After this the next is shortlisting and then an oral Interview after which if you are selected you receive an invitation email to the programme. Its currently offered in both Full time and part Time. The full time students are mostly under scholarship from Safaricom. I am in the part time class (5.30 to 8:30), this class is a little different since we have to pay for our tuition per module. Module cost is around 115K. There are 7 total modules (115K*7 =805K)..Starthmore is pricey I know don’t even get me started on this. 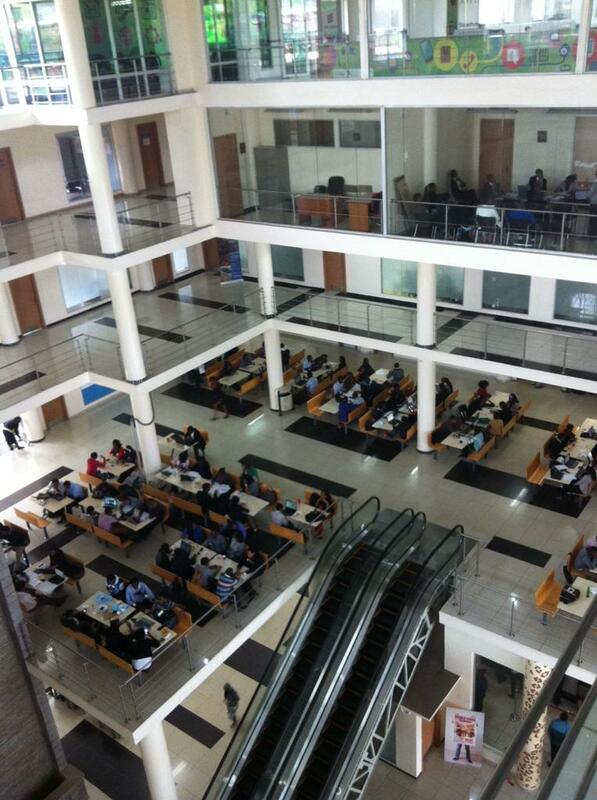 ILAB is on the 4th floor of the students center.It houses other offices and study areas. Strath has a strict policy on dress code, I cant go to class as I did in undergrad shorts and tees they have a strong inclination towards formal attire and even have Fashion police to enforce it. Secondly there is an obsession with School Ids. I went through years of undergrad without as much as showing my School Id except occasionally on exams, here is quite converse,you need your Id to get into the students Center to move into Phase 1, to board the bus, you need to use Biometric maneno to get into class, Biometric to go to the Lib etc. Their labs are pretty neat also. We have OOP in the Samsung Lab, next to the Oracle Lab, there is an Ericsson Lab on the same floor as well, you get the picture, a far cry from the 100 year old labs at JKUAT.